The violins are imposed for 3 1 on the grenade after the penalty shootout. An exciting match with reversals in front and exciting actions that made the goal shout, without success, merit of two teams careful and determined to play, at par, the most coveted category title. To determine the winner it was necessary to reach the penalty shootout, after the regulation time ended in the net, with the grenades complaining more wasted opportunities and the violets who have not been watching and offered, with the opponents, one show worthy of a great final. A year later, the violas take revenge on the grenades and celebrate the deserved victory of the Italian Primavera championship. Two teams for a great show of football, sport and promotion for the whole movement, abandoned, once again, to himself, inside a stadium without live TV. 15 hours, Sbrighi field of Castiglion of Ravenna take the field in the two spring teams that throughout the year deserved to compete for the national junior title: JUVENTUS AND ROME. The Roma, hosted by the coaches Bonafine and Vantaggio with the 4231, immediately puts in difficulty Juventus that interprets the classic 442. Immediately opportunity for the Giallorossi with Bevilacqua who tries to overtake the goalkeeper diagonally, but the ball touches the post. The strong departure of Rome is realized at 5 ° min. with the same Bevilacqua that with a left from the edge pierces the Juventus goalkeeper. The time has come, useless to pretend; the climate is that of great expectations, we are less than twenty-four hours from the whistle of the start of the most prestigious match of the long season of the Primavera Primadonna Firenze training. 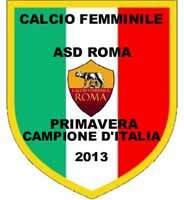 Tomorrow at 10.00, at the "Sbrighi" sports facility in Castiglione di Ravenna, the final of the championship between Turin and Florence will be played and the adrenaline of the girls led by Mr. Mario Cioni will have the opportunity to find bread for his teeth. The formation will also try to redeem the defeat suffered in the final of last year when the grenade imposed on their playground for 3 to 1. Read more: SPRING, Honors Female Football. As predicted, the final of the national spring championship will once again be between Turin and Florence. A year later, the strongest spring formations are theirs and, Sunday 16 June, they will clash again for the tricolor category. Last year the victory was the prerogative of the bull who managed to overturn the result and beat the violets for 3 to 1. Making a prediction for this final becomes difficult because both teams have a staff of experience and quality and, certainly, will give life to a balanced and exciting competition, all to be experienced! The Torino arrives at the final after the success suffered against the Pordenone revelation that sees the final coveted to 5 minutes from the end. On Sunday the first two games of the semi-finals of the National Spring Championship were disputed. The two big names, Turin and Florence, were presented respectively in Pordenone and Naples with favors of the prediction with the grenade which, however, had to work hard to bring home the draw of 1 to 1 and the violates that despite a better game expressed and more opportunities from the net, have passed to the Necklace thanks to two offsets of the blue rear that allow the two purple networks of Vigilucci and Magni. Very tight matches with the 4 formations that gave life to two matches of great competitive intensity and technical quality. 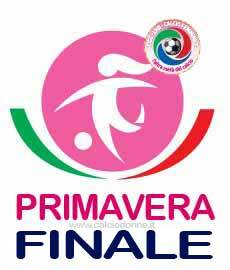 It was played today at 16, at the Collana stadium, the first leg between Naples and Florence, teams that compete to win a place in the final for the National Spring Championship. Start the first half with a fierce Florence: in fact, the first important occasion of Magni arrives at the 6 'game. After 5 minutes also Razzolini and Cinotti try, but Parnoffi is not surprising. At the 18 'instead comes the first opportunity for Napoli with Guardascione, however, stumbles on a clod of soil and lose the ball. At the 23 'the Cinotti network arrives, canceled for a net offside. The two referee whistles arrive after exactly 45 'with the result still standing on the 0-0. Tartarughine, a successful venture with Bari! 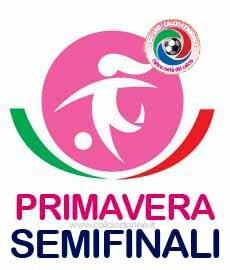 The company has succeeded in the spring turtles that today have faced the Pink Sport Bari at the Stadio Stadio: they won the transition to the semi-finals for the Primavera National Championship winning today for 3-1, after the defeat for 1-0 last 21 May, in Bari. The game started with very high rhythms: in fact, at the minute 8 Diodato puts it on the net and after only 3 minutes comes the doubling of Di Maro. Both teams, during the first half, proved to be hungry for victory, and countless opportunities were wasted on one side and the other. At 34 ° a penalty is awarded to Bari, scored by Conte, but immediately Napoli wants to redeem: Canonico tries, hitting the crossbar. Finish the first half on the result of 2-1. Read more: Tartarughine, a successful venture with Bari! The Carpisa Napoli beat the Pink Sport Bari for 3 to 1 and, by virtue of the defeat of 1 at 0 remedied in Bari, gain access to the semifinal of the Primavera Championship. The Neapolitan team, together with Florence, Turin and Pordenone, composes the quartet of wonders that will be played in the final phase of the 2012-2013 National Spring Championship. The semi-finals will be played in round-trip matches the 2 and the 9 June between Turin - Pordenone and Florence - Naples. According to the rules, according to the last games played by the semi-finalists 4, it is clear that the draw will be used to decree the teams that will play in the first game at home.